FOSS INNER TUBE (26 X 1.95-2.25) PRESTA VALVE (FV48), E-Walker! 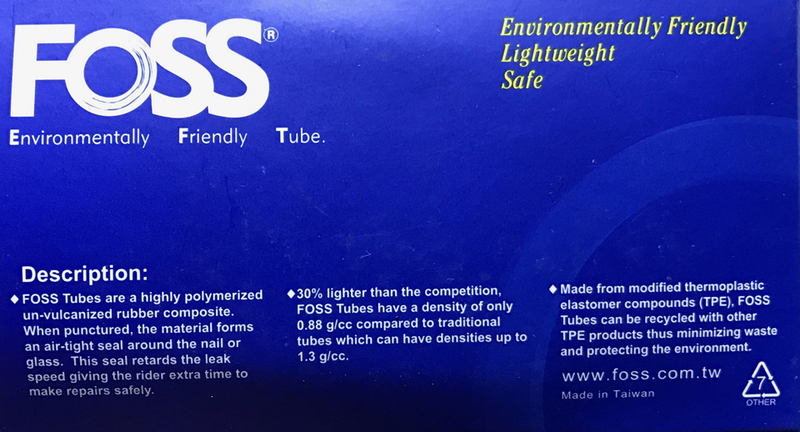 FOSS tubes are a highly polymerized un-vulcanized rubber composite. When punctured, the material forms an air-tight seal around the nail or glass. This seal retards the leak speed giving the rider extra time to make repairs safely. 30% lighter than the competition. 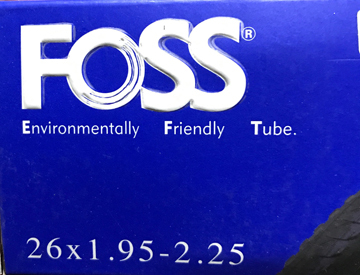 FOSS tubes have a density of only 88g/cc compared to traditional tubes which can have densities up to 1.3g/cc.